Summary BARBIE: DOLPHIN MAGIC is an animated adventure in which Barbie helps a mermaid to rescue a dolphin from a scheming water park owner. 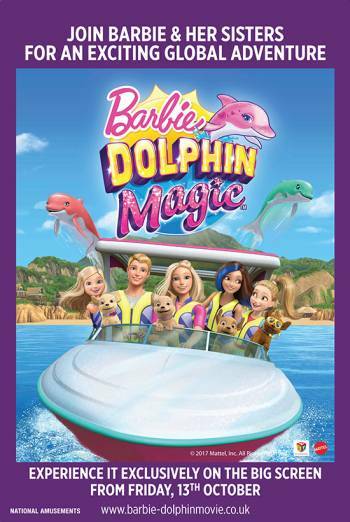 BARBIE: DOLPHIN MAGIC is an animated adventure in which Barbie helps a mermaid to rescue a dolphin from a scheming water park owner. The very mild threat occurs when a dolphin is captured in a net and when the villainess chases after the heroine to try to recapture the dolphin.